Having trouble locating reference information? 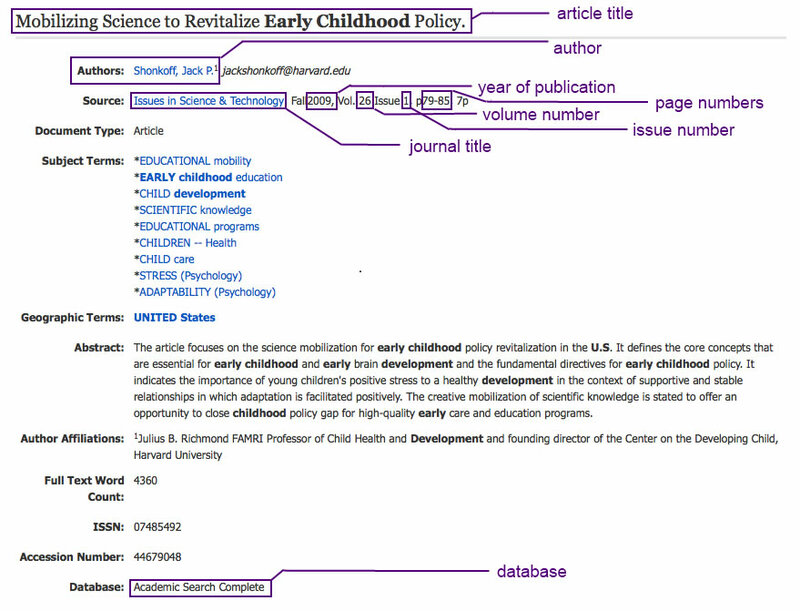 As you’ll learn in this section of Citation & Documentation, part of writing within a particular documentation style, such as APA or MLA, is building a References or a Works Cited list with full publication information. But what happens when you’re looking at your sources and just are not sure where to find all the necessary information like publication dates, volume numbers for journal articles, edition numbers, and the like? 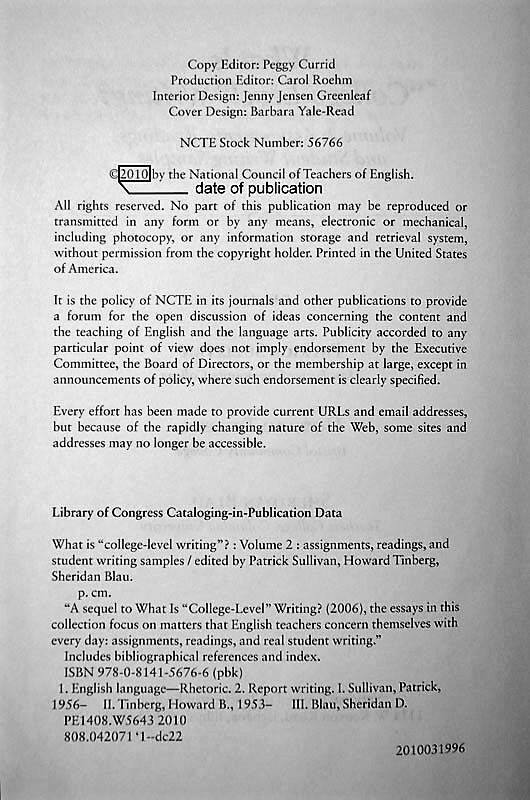 The following images include helpful notes about locating publication information you’ll need to build your References or Works Cited lists. 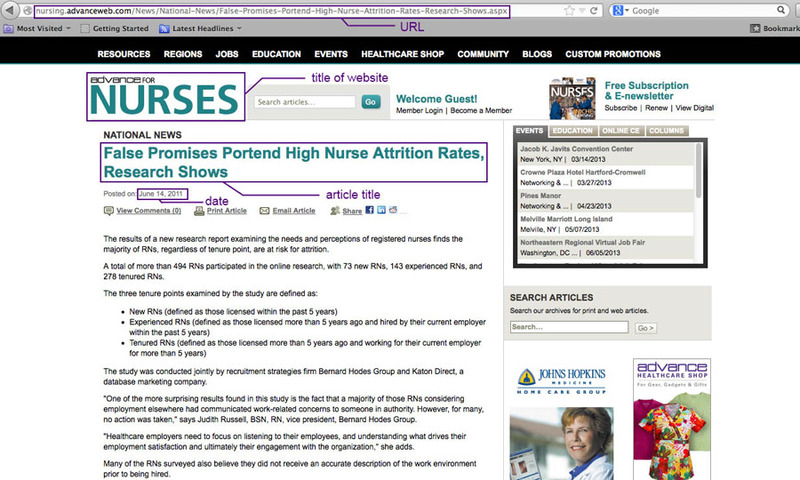 Select the thumbnail image below to view a larger image with the notes. There is a five-part series in Hoot - The Excelsior OWL Blog. 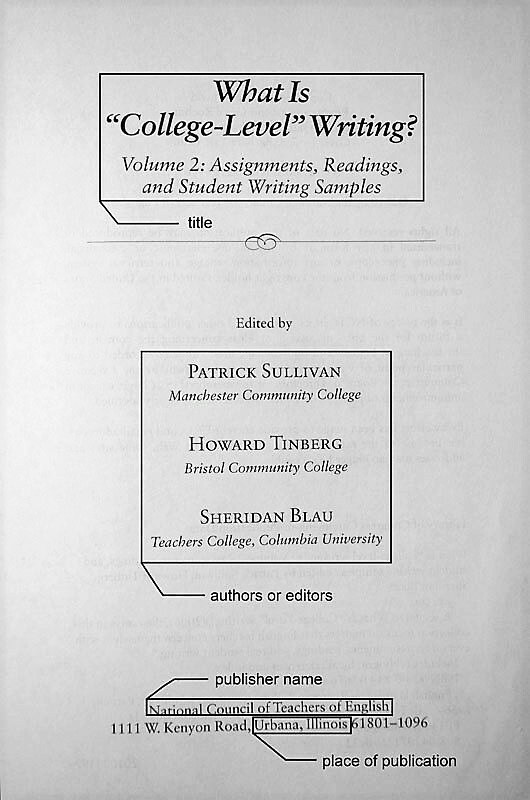 The first three posts in the series cover different aspects of locating and referencing sources. Check them out!